Earlier this year, Alexa of Alexa Loves Books, Cristina of Girl in the Pages, Kristin of Super Space Chick, Sierra of SDavReads, and I all discovered that we shared a mutual love and appreciation for Sailor Moon! After exchanging plenty of flailing tweets and constantly bringing up our love for this magical girl story, we felt it was only right to celebrate it, and that’s what’s happening this July! Every week will feature a brand new blog post per day from each of us, and we’re excited to be sharing the Sailor Moon love with all our readers! Summer of Sailor Scouts comes to an end this week. I’ve been having a lot of fun talking about Sailor Moon and getting all nostalgic about it! I’ve found these awesome ladies (Alexa, Cristina, Kristin, & Sierra) who share my feelings on these fabulous ladies! It just gets me incredibly excited. For our last week, each us will be talking about the Sailor Moon manga by Naoko Takeuchi. We’re each reading a different volume and talking about things that caught our attention. For me, I’m tackling volume three (which has the fabulous Mars cover), which covers five acts (#12-16), and kicks off with Sailor Moon and the Sailor Scouts dealing with a hypnotized Endymion and trying to defeat Queen Metallia. After that arc is finished, it introduces you to Chibiusa (aka Rini) and the Dark Moon kingdom. In this week of Summer of Sailor Scouts, we are talking about Sailor Moon swag we own or wish we own! For me, I want to share with you the preciousness I used to own when I was younger and what I own now! 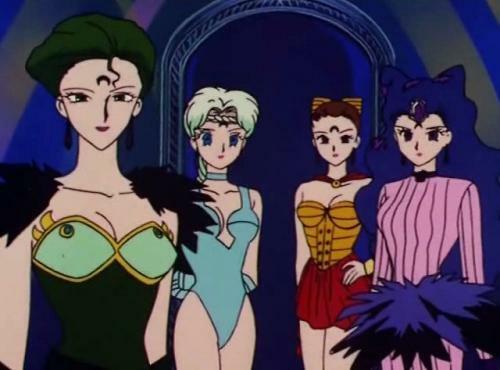 In this week of Summer of Sailor Scouts, we are talking about our favorites! While most of the other ladies are talking about a bunch of favorites, I decided to talk about one of my favorite and most fabulous villains—Ayakashi Sisters. This week, we are discussing our favorite Sailor Scouts as well as recommending books if you love this Scout. For me, I’ve decided to go with Sailor Pluto. Although she isn’t my absolutely favorite one (Venus is), I am fascinated by the outer Sailor Scouts (Mercury, Neptune, Pluto, Saturn)—specifically Sailor Pluto. 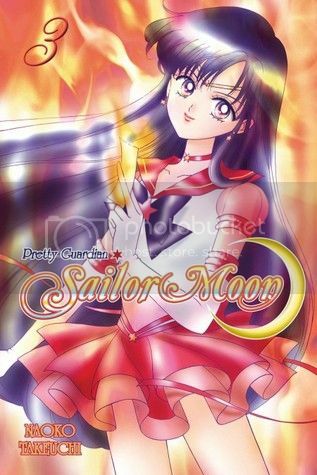 Summer of Sailor Scouts • Kick-Off Announcement + Book Tag! They are the one named Sailor Scouts!